Welcome to the Crocker Farm Giving Tree! 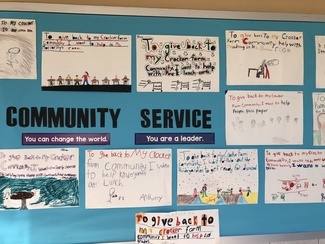 This wishlist connects our community, eager to fund school projects and events, to the teachers and staff in need. Please take a look and sign up in any way you can. We update the list periodically as new requests come in. Some items include links for your convenience, but feel free to purchase elsewhere. PLEASE NOTE: Please fulfill your sign-up within two weeks. Once we receive confirmation of receipt from the teacher/staff member who made the request, the item will be deleted from the list. Ms. Piekara, Speech and Language. Can be used, please have all parts and pieces. School nurse. No jeans please. I have some I can donate! Ms. Millay, Special Education. Can be used, just please have all parts and pieces. Ms. Robinson, Third Grade. Can be used, but must be up-to-date. Mr. LeFebvre, Second Grade. To use in a weekly food and nutrition event in the classroom. Can be used.